Yes there has been a deafening silence. Internet is both problematic and slow , despite the enormous cost of $250 US for unlimited access for the duration! It’s marine satellite service! I shall blog eventually about life on board. Attempts to confirm that I am at sea with a picture are proving impossible as the upload speed is so slow as to be unusable. All things come up those that wait. 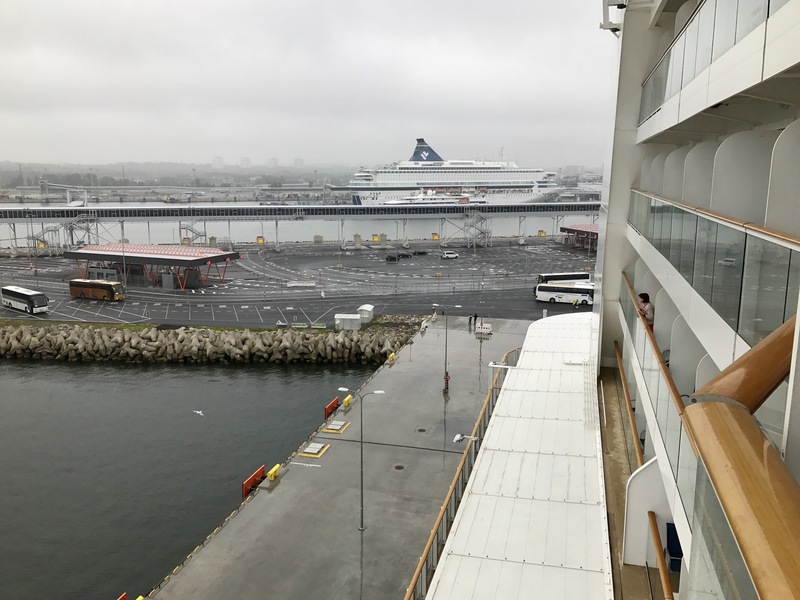 I write this as we are berthing at Tallin, Estonia which is around 7am – the city is shrouded in fog. It’s overcast. The town is seething with the combined humanity of 4 huge cruise liners in dock!